Patent-pending gel delivery system suspends high concentrations of actives in solution at an acidic pH for maximum effectiveness. Open matrix formulation enables actives to freely penetrate skin in a controlled manner for maximum bioavailability. Gel network remains on the surface of the skin, reinforcing the skin's barrier. Optimized formulation for the delicate eye area. Prevents premature signs of aging and corrects existing photodamage, especially age spots and laxity. Divides and conquers the range of reactive oxygen species (ROS) throughout the skin. Facilitates cellular repair and maintains cell diversity. Reconstructs the skin's support structure. 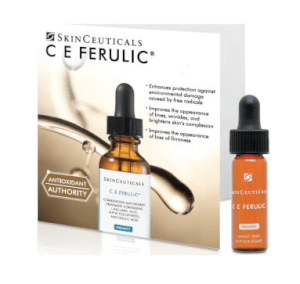 Boosts skin's natural immunity against DNA impairment to preserve cellular integrity and help prevent serious skin conditions like skin cancer. Provides significantly better results than any one antioxidant alone. 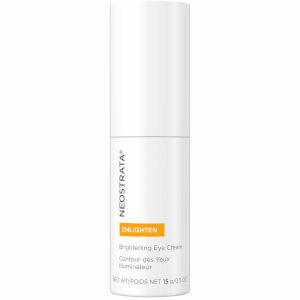 Works synergistically to minimize under-eye puffiness and increases micro-circulation. Once in the morning, apply 1/2 pump per eye. Apply on the area below the eyes, on the outer corners and on the brow bone. Maintain a distance of 3 millimeters from the mucous membranes surrounding the eye. Do not apply product to the inner corners near the nasolacrimal duct (tear duct), below the brow bone, or on the upper lid. the cost is too much for no results, plus having to use another eyecream on top....seems very drying. The pump makes it hard to use since alot of product is wasted. I am returning, but worth a try....hate it didn't hold true with the promises. At first I was disappointed because I don't like the scent of this, but came to find out this is serious stuff. Right before I got this gel I came down with an eye infection that left me with terribly swollen and wrinkled eye area. I was in horrid shape and needed something that really worked on my situation. So I tried my new AOX eye gel and it was pretty amazing how it helped me through my crisis. Still wish it wasn't so "clinical" smelling but grateful that I have it in my arsenal because it truly is a miracle worker. And makeup goes on fine. 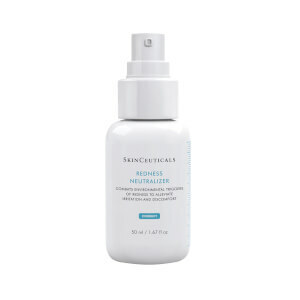 Now I use it in my eye cream/gel rotation and am very happy with this product.